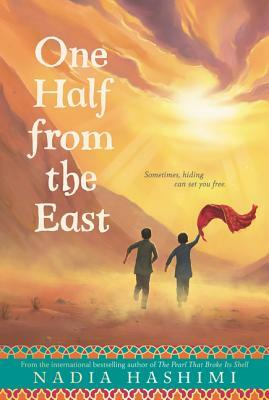 Perfect for fans of Rita Williams-Garcia, Thanhha Lai, and Rebecca Stead, internationally bestselling author Nadia Hashimi's first novel for young readers is a coming-of-age journey set in modern-day Afghanistan that explores life as a bacha posh -- a preteen girl dressed as a boy. Obayda's family is in need of some good fortune, and her aunt has an idea to bring the family luck -- dress Obayda, the youngest of four sisters, as a boy, a bacha posh. Life in this in-between place is confusing, but once Obayda meets another bacha posh, everything changes. Their transformation won't last forever, though -- unless the two best friends can figure out a way to make it stick and make their newfound freedoms endure. Nadia Hashimi's first novel for adults, "The Pearl That Broke Its Shell," was a bestseller that shares a bacha posh character with "One Half from the East."